This week’s final European Golf Tour event is the DP World Tour Championship being played in Dubai which features the top 60 players from that circuit. The main question is already decided—world number-one player Rory McIlroy has secured for the second time in three years the Race to Dubai cumulative point total. The underlying issue comes with the recent resignation of George O’Grady—the European Tour’s Chief Executive who leaves at the end of this season. The 65-year-old Singapore native has led the Tour since 2005 and been a part of the organization for over 40 years. He’s also only the third executive director since the Tour’s inception in 1971. O’Grady took the helm on January 1, 2005 and the state of affairs then was at a critical low point. 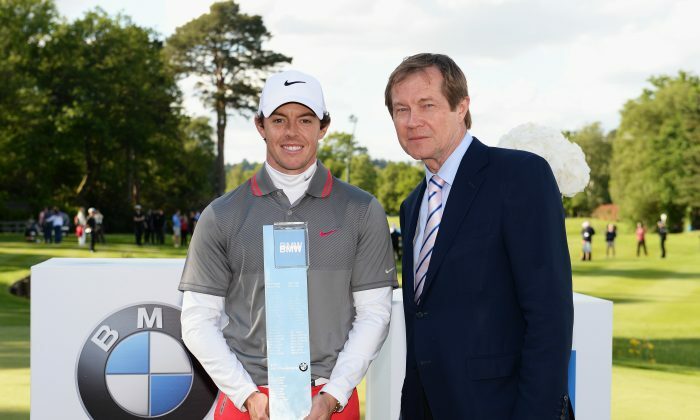 Competing against the more lucrative PGA Tour—the European Tour—made bold moves, going global for nearly all of its key events with only a limited number of events held in the United Kingdom and Ireland. O’Grady initiated the season-long Race to Dubai series, secured the key sponsorship of Rolex, and played a leading role in having golf reinstated as a sport for the 2016 Olympic Games in Rio de Janeiro. No question the ascendancy of the European squad in the Ryder Cup helped spur even more momentum and much needed revenue. Only one Euro team lost—in 2008 at Vahalla—during O’Grady’s time at the helm. On the surface O’Grady did well against the escalating purses and the more dominant position of the PGA Tour in America and the reality the USA serves as host country for three of the four major events. There were some losses during his steerage. Volvo pulled out of the sponsorship of the prestigious World Match-Play Championship—played this past summer at the London Club. Given the lack of economic growth throughout the continent, sponsorship dollars may re-emerge with whoever replaces O’Grady. Speculation has centered on Guy Kinnings, global head for golf at IMG for 20 years, as the leading candidate to take the top position. The interests of the European Tour are considerably more complex now given the range of locations and desires to meet the needs of key stakeholders. The main key issue going forward is getting more of the Euro Tour stars to commit to more events. That has been a continuous vexing issue as a number of the high-ranked European-native players have opted to live nearly full-time in the States and use the PGA Tour as their preferred location in their career development. Frankly, who can blame the players? Purses are significantly higher, the tax bite from Uncle Sam is a good bit less than from European host nations, the quality of the host courses and year-round availability to play when living in sun-belt locations such as Florida, along with the points provided because of the depth of the competitive fields makes the choice a rather simple one for many. Nonetheless, the European Tour provides a platform for the younger player who seeks to know how well their game can handle the rigors of travel—the vagaries of weather and the unpredictability of the various host courses. Greg Norman, before joining the PGA Tour full-time, started his career on the European circuit. Others have followed in similar fashion given the extremely tight eligibility requirements in securing a PGA Tour card. Just last week in Turkey American Brooks Koepka won his first professional event and given his steady play in 2014 the talented 24-year-old earned enough money to be eligible for both the PGA and European Tours for 2015. Koepka will also be in the field at Dubai. O’Grady’s departure sparks immense interest in who will follow his steps. The position requires a deft touch: courting sponsors, while at the time, cajoling players into adding stops to their already tight competitive windows. Unless O’Grady’s successor can add quality players, the likelihood of sponsors putting even more resources into second-tier events that exist today seems a long shot at-best. O’Grady’s successor will need to hit the ground quickly—reassuring the key parties but also moving aggressively ahead with new marketing initiatives that can keep the European Tour relevant in so many ways.